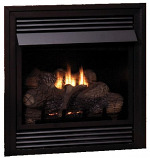 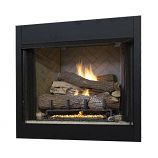 Ventless Fireplaces Ventless fireplaces do not require a chimney. 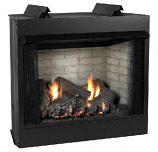 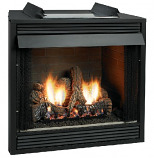 You get the instant heat and convenience of clean propane or natural gas in an attractive fireplace. 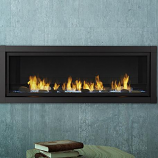 You can choose from wall-mounted or traditional styles. 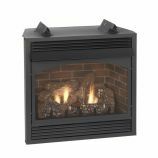 Easy to set up and connect to gas lines.